When a patient wants to file a complaint against a nurse, dentist, therapist, surgeon etc. he or she needs to fill and submit the Patient Complaint form to the respective authority. Patient complaints are formal grievances of the patients. The patient can complain at any point of time in which he or she is mistreated, misdiagnosed or improperly treated by a doctor or a healthcare professional. 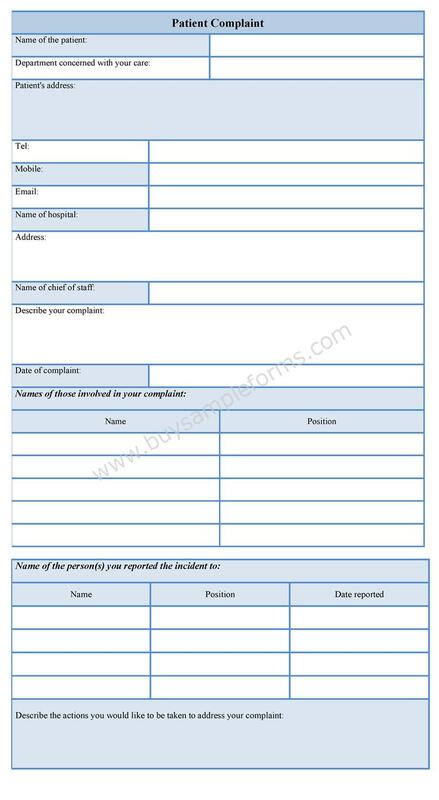 The form should be made in a simple manner that contains the name and date of the complaint, the patient’s statement of the problem, the staff member’s statement or response, a description of the action taken, and the staff member’s signature with a date. 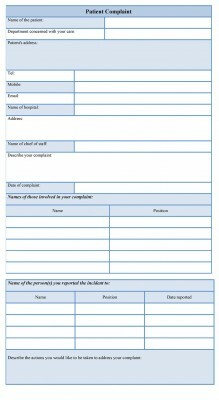 The patient complaint form provides as a documentation that can help prevent potential problems and educate staff on how to prevent future similar complaints. Below is a Patient Complaint Form. Download online the sample Patient Complaint template in either Microsoft Word or PDF format. 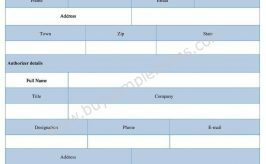 Both the formats can be editable and customized as per requirements.